Located in Bozeman, Montana, this new facility supports U.S. 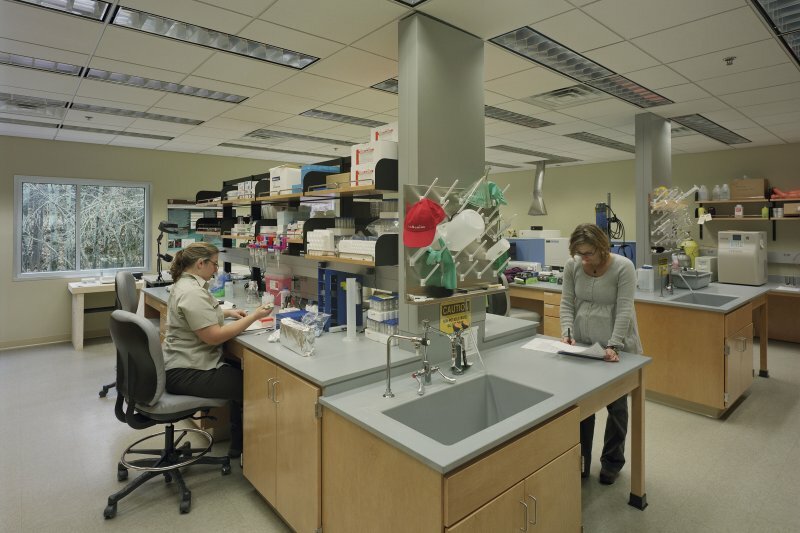 Fish and Wildlife Service studies within a high-performance research laboratory and administrative headquarters that centralizes the USFWS technology center staff within one cohesive structure. Designed primarily to support the study of fish reproduction, nutrition and contaminants, as well as fish physiology and therapeutic drug research, this new research center simultaneously supports a small interpretive center for public outreach and environmental education opportunities. Visitors are provided opportunities to learn about the Fish Technology Center’s mission and site before embarking on a self-guided tour of the grounds. Operationally, the laboratory component is programmed to maintain 24/7 operations, while the administrative program operates on a conventional 8 hour weekday schedule. Security considerations require a clear separation of uses along similar lines. For this reason, the design is organized into two discrete wings with limited, controlled access to the research laboratories and open, public access to the administrative center. The design differentiates between administrative center (and researchers’ offices) and laboratory by cladding the former in wood and the latter in aluminum panels. Considerate material selections reinforce the vernacular and industrial setting of the immediate region. Wood siding is Western Red Cedar, a rapidly renewable species native to the Northern Rockies and is regionally harvested and milled. 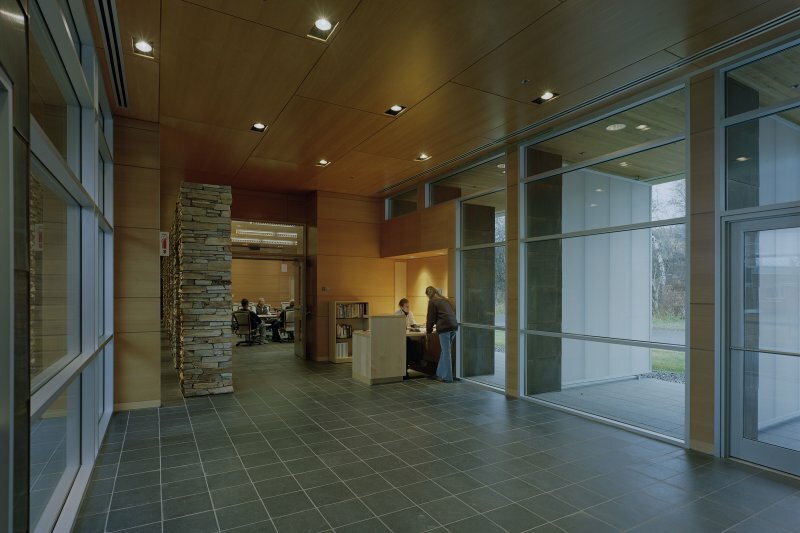 The aluminum roof and wall panels are a recyclable material that minimizes waste to landfill. The result is a design that pays deference to the landscape in which it is embedded while supporting the mission and vision of the U.S. Fish and Wildlife Service.